Sources reveal several other multi-country training events. 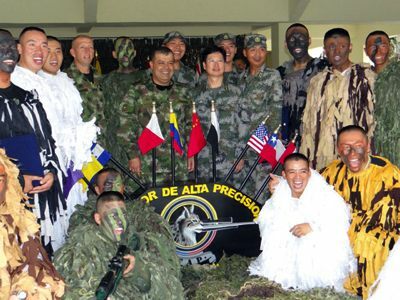 The Colombian Army’s Lancero Special Forces unit, similar to the U.S. Army’s Rangers, now offers an international course at the Tolemaida base. Colombia’s armed forces report that 581 trainees from 18 countries have taken the Lancerocourse including, in December 2012, 15 graduates from Brazil, Canada, Ecuador, El Salvador, France, and Peru.